Since becoming a mum, I have limited time to do my hair and make up so I've had to find ways to cut my beauty time in half. Sometimes this means skipping eyeshadow, eyeliner and bronzer. Other times it means putting my hair into a "messy pony tail" to hide the fact that I haven't brushed my hair that morning. One of the biggest tips that I was given by a hairdresser is to embrace your natural hair and work with it, instead of against it. My hair is naturally wavy, so it's much easier for me to embrace my curls and encourage them than try to make my hair super straight. One of the easiest ways for me to curl my hair is by putting it into a pony tail and taking a section and curling it. When I do this, I get soft Hollywood inspired waves in about 3 minutes (or if I want tighter curls it takes about 5 minutes). You can use any hair curler but I've found that I get the quickest results with my Irresistible Me Ruby 2 Way Auto Rotating Curler. * I had never used a curler that does the curling for me before. At first I was a bit worried that I would get my hair caught up as it was curling but using this was surprisingly easy. I've been able to halve the time it takes to curl my hair because I'm not having to manually twist and curl my hair. It rotates quick enough to make curling my hair super fast, but not fast enough that I can't twist my long hair around the tong easily. It has a clamp, which I found easier to use when I was learning how to use the curler. Now that I'm more confident with the curler, I can skip using the clamp. Some people will find using a clamp unusual since most of the newer curlers over the last 3 years don't have a clamp. But it's not essential that you use it, so if you don't like clamps, you can still use this and it won't interfere with how your curls will turn out. The curler can turn either left or right depending on which button that you press. I normally will alternate each curl, to make them look more natural. I haven't had any issues with the buttons. The only thing that can happen is sometimes I'll press one of the buttons with my palm when I'm unclasping a curl. Depending on how much time I have, I will normally put my hair in a high pony tail and then work on smaller sections to get more curls. But if I'm in a hurry I will just split my hair into 6 sections and curl them. This gives me enough curl, with only a small amount of time and effort. I like to put my hair in a high pony tail as this makes it easy for me to see what I'm doing as well as giving my hair extra volume at the roots. 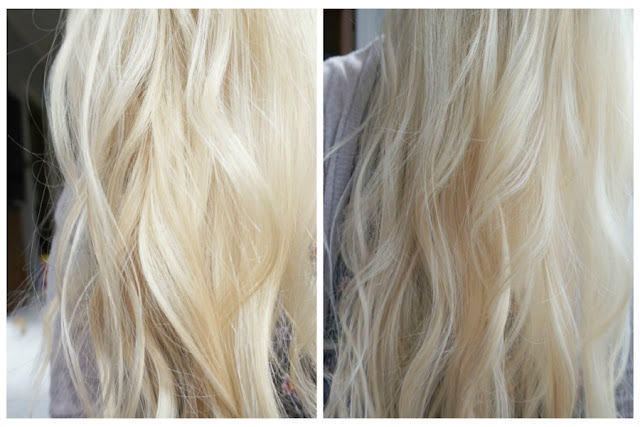 I then undo my pony and use my fingers to brush through the curls to tame them. I prefer using spiral hair ties, as they don't leave dents in your hair and I also find that they're easier to remove once you've curled your hair. I sometimes like to pin the curls while they're still in spirals so they can cool down and set. Then before I leave the door I just take 30 seconds to unpin them, take out the pony and brush my fingers through my hair. If I allow them to cool down, then I find that my hair stays curlier for longer and it doesn't drop as much. If I'm not rushing, I will do two pony tails and then curl small sections (6-8 sections per pony). I sometimes like to add in a curl here and there once my hair is down, especially around the front of my face as I can find that when I part my hair it can disrupt the curls and make them look straighter than the rest of the hair. Using this technique, I get effortless boho "I just woke up like this" curls. Because I only try and wash my hair once or twice a week, I like to keep my hair in a high ballerina bun while I sleep. This stops it from getting flat and tangly and it also encourages my hair to keep curly. I might need a touch up in the morning, which might only take a minute or two. There are 5 heat settings available. I normally will keep it on the lower settings to help stop any further damage to my hair. 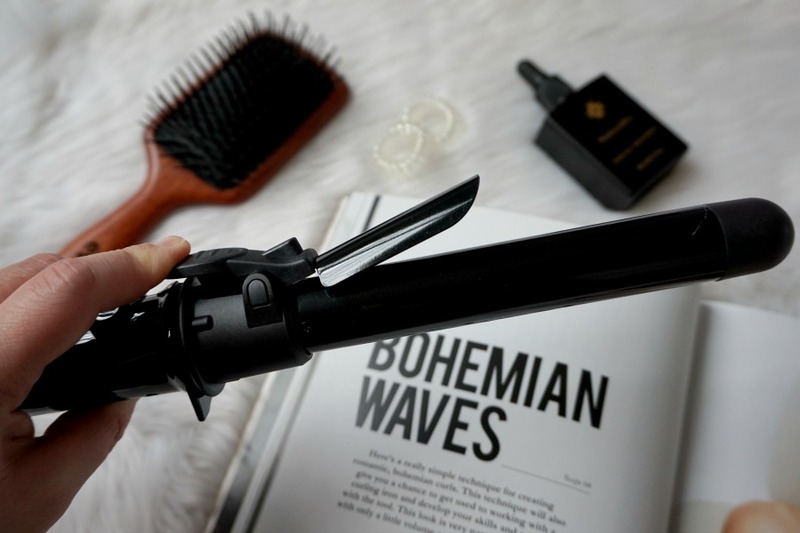 It has a mini stand in the middle of the curler and a heat resistant tip, so you can put the curler down safely while you're in the middle of curling your hair. It has quite a long cord, which is great if you don't have a mirror close to your power outlet. It does come with an American power plug, so you'll need to use an adapter to be compatible to work in the Australian power socket (You can pick one up from Bunnings for under $10). If you're wanting to buy a curler, I'd suggest getting an auto curler because what used to take me 15 minutes now takes me less than 5 minutes!! 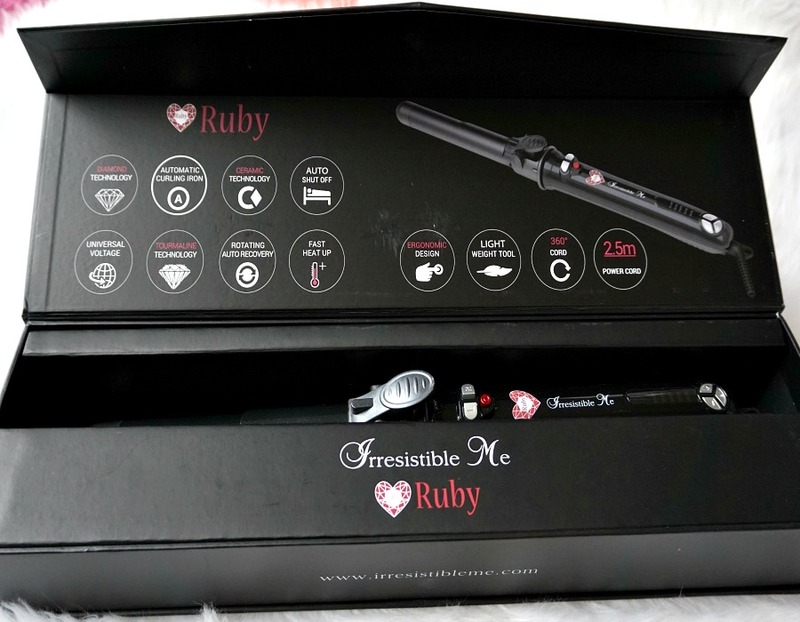 The Ruby Curler is available from the Irresistible Me website here for $119 (USD). They also sell this awesome 8 in one curler, called the Sapphire 8 in 1 Curler, which is $199 (USD). I've previously bought a curler that had 3 different attachments but found they were all on the thinner side, so something like this would be great especially if you have long hair. I really like the look of the 13/25mm and the Pearl attachment. Irresistible Me have free international shipping over $150 (USD) and offer free exchanges and returns, which gives you peace of mind especially if you're ordering internationally. They also sell clip in extensions, full lace wigs, haircare and accessories. I haven't tried anything else besides the curler, so if you're interested in extensions do a Google search for reviews. If you're interested in buying one, keep an eye out on their Facebook page here, as they promote sales there. Have you ever tried a self rotating curler? Did you find that it worked better than your classic curler? Your hair is so pretty! 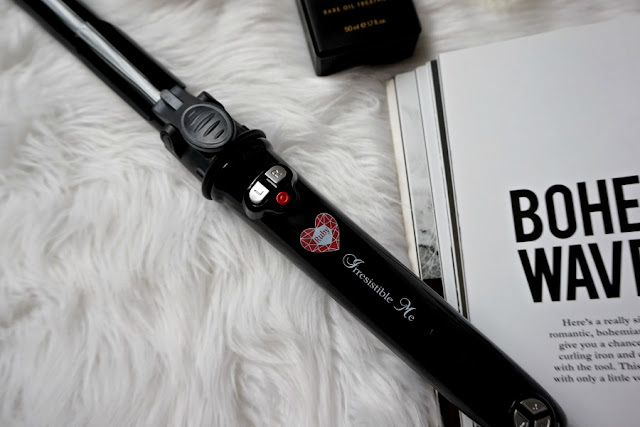 This curling wand makes curling hair sound so easy and effortless. 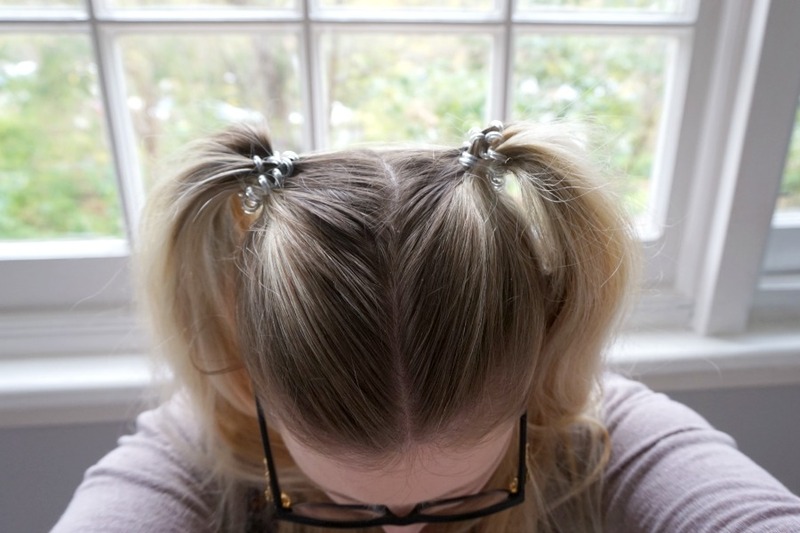 I have been seeing these curlers everywhere lately, I'm really hopeless at curling my hair so I really think this might even be easy enough for me to use! Good hair tips - I should try those spiral ties!